Growing up, “The Jetsons” was one of my favorite cartoons, maybe it was because it gave us a peek of some of the smart appliances we might have in the future. Everything from flying cars, to appliances that could react based on simple commands you provide. Well maybe these things are not so far away. Nokia recently unveiled a nifty “smart” microwave with a touchscreen and…eye-tracking technology? 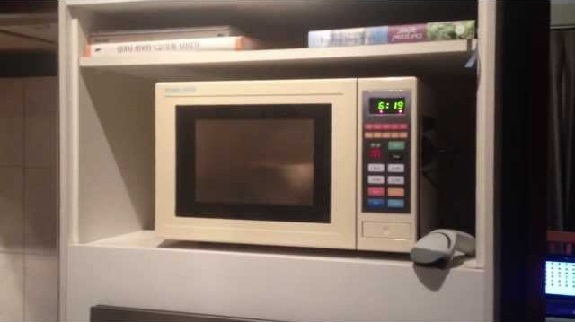 That’s all well and good, but it doesn’t address the basic problems of most microwaves, such as the fact that so many foods require several stages of cooking, cooling, and sitting. Not to mention, few—if any—offer voice command or mobile control. As for Samsung, Whirlpool, LG, and all the other big microwave manufacturers, what gives? You should’ve come up with this product years ago. Hire this man. Check out Broadbent’s extensive blog post for a complete rundown of how he did it, and instructions for how you can do it—some technical skills required.